He said he’ll be home when the ice breaks. And every day she waited, one baby tugging at her skirts and another growing restless under her heart, and tried to not look at the field of crosses planted right outside her window. Reminders of the many who the frigid sea or dark winters or the loneliness of this place at end of the world had claimed. Some days she hated Greenland. The endless nights. The gnawing cold. The monotony of the same few faces and the bickering that eventually picked open old scabs and gauged new hurts for the next arctic dark to revisit. Other times she couldn’t fathom living any other place. Summer’s endless light. The sparkle on the water. Pups, babies, and not-so-babies frolicking. The wide spaces full of breath and warmth that thawed old sorrows into joy. It felt like coming home. Practically everyone but the real-estate agent had been against him purchasing the place. “That heap of rot is a death trap,” his friend Tomas had said. To be fair, the last two statements were probably true. … Not that this stopped him from finding ways to manage all these years without a shrink. Not that there weren’t times during the first year in the house, when the old thing seemed intent on falling about his ears and his bank account skied a Black Diamond toward zero, when he didn’t wonder whether his mental health was sliding south just as precipitously. But he’d held on to his bootstraps and soldiered on. In part to not lose face but mostly because he had indeed sank so much of his limited assets into the house that there was no way out but through. He gave up his rental apartment in town and erected a tent in the middle of the mansion’s living room where the roof leaked the least. He uncovered the well and hauled out buckets of muck before clean water once more found purchase. He cleared paths through the overgrown hedges and the man-height weeds that overtook what had been a lawn around the house. He scraped moss and mold off of stone walls. He evicted pigeons, rats, squirrels, countless spiders, and a skunk that made sure her discontent lingered. He discovered woodwork under paint, a carved gate under briars, a clubfoot tub under rubble, and a door to a hidden passageway behind a rotting cabinet. Here and there a friend would agree to help with this or that, and twice he’d hired someone with engine-muscle to lug out things that needed more than human-power. But most his friends couldn’t help (and some refused to ‘enable’ what they declared an insanity), and hiring anyone ate big bites out of a budget that wasn’t hefty to begin with. So he buckled down and did much of the work himself, making small but steady dents in a mountain he did not think would ever yield to order. The list of things left to do only kept growing: parts of the roof needed repair, the kitchen floor needed replacing, the electric lines were too ancient to hold power, the pipes leaked, and the sewers were more roots than flow. The work was Sisyphean. And still … between moments of sheer desolation and utter despair, he realized that he was actually sleeping soundly for the first time in his life. A smile would sneak onto his lips as he sanded this or patched up that or cleared another mess of spider webs or thickets. He hummed an ear-worm for a whole weekend and no one shushed him for not being able to carry a tune. It was as if he’d accepted the house and its flaws, and the house in return had accepted him. He felt happy. He felt at home. Though he wouldn’t have been able to articulate it at the time, he came to understand that the reason he had been drawn to purchasing a run-down estate with overgrown grounds in the middle of a god-forsaken forest, was in part because of memories of another building surrounded by a tall stone fence: the “Home” that never truly was one and yet had been the only model he’d had. He’d accumulated more moments of abject misery in the “Home” than he ever wanted to recall. Countless nights yearning to be old enough to leave … even as he’d feared the day he would be made to do so. This long-neglected house with its aged stone fence and beautiful wide gate, was his. No one could tell him he’d aged out and could not stay. No one could tell him that his bed is needed to make room for someone else, or that it was time for him to fend for himself and no longer rely on the charity of others to feed and clothe and put a roof over his head. It didn’t matter that the repairs would take years and that most of the rooms would not be usable for just as long. It didn’t matter that he didn’t have a clear plan for what he’d use all these rooms for. What mattered was that this old place was real. That it was full of history and memory. That it stood firm onto the ground and offered to be the roots he’d otherwise have no way to lay claim to. This house was him. Healing it was the key to who he could become. And a month, and another. For you and those still lost. For nights when stars hide most. Even if some say I’m wrong. So you know that you belong. During storms and gale and snow. Just so you see and know. Sally’s voice ricocheted in the clearing. I felt my face flush and dug my nails into my palms to keep from responding. “They’re blind, you know, not deaf,” Mark noted dryly. I could’ve kissed him. Sally boomeranged off the wall as if electrocuted. A hand waved out of an arrow slit, two inches from her waist. 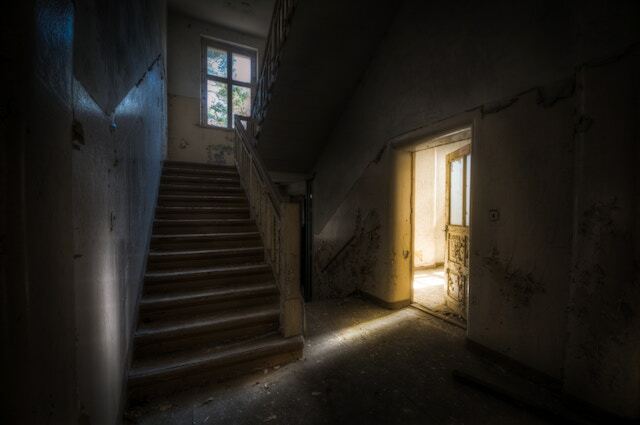 Never mind the mildew and dirt, the echoes in corridors of sad stories they knew. There’ll be roof over heads and a shelter for those who lost all yet pulled through. We will clean it all up. Make a home for these kids. It’ll do. He huddled at the cupola and waited. He shook his head at the cluelessness of programmers. Who chose this particular word for the code-red recordings? The wall behind him warped and heaved, and it was as if the very apparatus was gasping for air. He slowed his own breath and tuned out the scream of bending metal and the meaning of the accelerated frequency of the voice commands. He glued his eyes to the view. Finally. His finger traced the line of green against blue and traveled inland to the approximate spec that was Bamboi. Was anyone home looking up? They’d been so proud. The first of their own at the space-station, and … for at least another moment, the last astronaut alive.